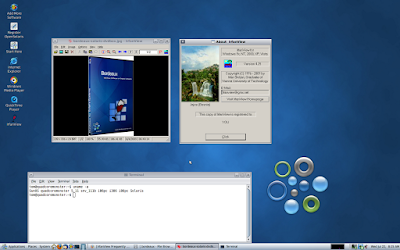 Bordeaux for OpenSolaris 1.8.2 was released with support for Microsoft Office 97, 2000, 2003, Visio 2003, Project 2003, Internet Explorer 6, Adobe Image Ready 3, Adobe Photoshop 7, Adobe Image Ready 3, QuickTime Player 6.5.2 and IrfanView 4.25 (Image support only at this time). There has also been many small bug fixes and tweaks on the backend to improve the speed and reliablity of all the supported applications. The Dell Thunderbird supercomputer, named MegaTux, has 4,480 Intel microprocessors running Linux virtual machines with Wine, making it possible to run 1 million copies of a Windows environment without paying licensing fees to Microsoft. Researchers at Sandia National Laboratories in Livermore, Calif., are creating what is in effect a vast digital petri dish able to hold one million operating systems at once in an effort to study the behavior of rogue programs known as botnets. Botnets are used extensively by malicious computer hackers to steal computing power from Internet-connected computers. The hackers harness the stolen resources into a scattered but powerful computer that can be used to send spam, execute phishing scams or steal digital information. These remote-controlled “distributed computers” are difficult to observe and track. Botnets may take over parts of tens of thousands or in some cases even millions of computers, making them among the world’s most powerful computers for some applications. To stalk the botnets, Mr. Minnich and his colleague Don Rudish have converted a Dell supercomputer to simulate a mini-Internet of one million computers. The researchers said they hoped to be able to infect their digital petri dish with a botnet in October and then gather data on how the system behaves. One of the challenges will be in tricking the botnet components into believing they are running in the open Internet. Some botnet makers have designed their programs to detect so-called honey pots, programs that pretend to be computers that can be taken over but which instead are used to capture and observe botnet clients. Typically, supercomputers have been designed with the goal of reaching absolute computing performance, and used for complex scientific or engineering tasks like modeling the earth’s climate, protein folding or simulating nuclear weapons explosions. The Sandia computer, which the researchers have named MegaTux, in a reference to Tux, the penguin character that is the official mascot of the Linux operating system, is an example of a new kind of computational science, in which computers are used to simulate scientific instruments that were once used in physical world laboratories. For example, Microsoft researchers have created a vast visualization database they call the world wide telescope. In the past, the researchers said, no one has tried to program a computer to simulate more than tens of thousands of operating systems. The Dell Thunderbird supercomputer used for the Sandia project has 4,480 Intel microprocessors, far fewer than the million operating systems the researchers sought to simulate. But they used “virtual machine” software technology to get each microprocessor to simultaneously run many instances of a Linux-based component called a kernel — a basic component of an operating system that manages communications between software and hardware. Because most botnets are written for the Windows operating system, the researchers are planning to use an open source program called Wine, making it possible to run Windows-based programs without actually having the complete Windows operating system. They said they were not using Windows itself because of the licensing costs of purchasing one million copies of Windows. Besides simulating the Internet, Keith Vanderveen, manager of scaleable computing research at Sandia, said the system would be valuable for exploring the design of future supercomputers that might have millions rather than thousands of processors. It will also be invaluable for researchers who are hoping to design new, more secure protocols for the Internet. Bordeaux is a Wine GUI configuration manager that runs winelib applications. It also supports installation of third party utilities, installation of applications and games, and the ability to use custom configurations. 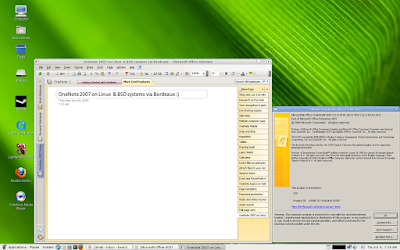 Bordeaux is written in GTK and requires GTK 2.10 or higher to be installed on a given system. Bordeaux also uses wget and cabextract extensively and they should be installed for Bordeaux to operate correctly. Bordeaux is a commercial product which is currently available only as a download and cost from ($20.00) to ($25.00) depending on your architecture A DVD version is planned for the 2.x release and will cost a little extra for the media. Their is no free demo of Bordeaux available at this time, this will also change with the 2.x release but instead of a time restricted demo Bordeaux 2.x will have a free non restricted limited version that will install a couple standard applications and let the user get a feel for the application. Then if they choose they can purchase the full version and have access to all the supported applications and support. Please note Office 2007 isn't supported on Solaris at this time. For this review I have installed three applications that I have that Bordeaux supports. IE 6 which is a free download, Adobe (PhotoShop 7) I know its a little behind the times but it's the latest version I own. And I also have Microsoft Office 2007. To install a application in Bordeaux just go to your Applications menu then Bordeaux and select "Install Windows Applications" and Bordeaux will start up. Once Bordeaux is running just double click on Application you want to install and their scripts will install any needed libraries for you. The install of IE 6 is simple, I just started Bordeaux and double clicked IE 6 and the install proceeded without and problems. All I had to do was follow the install and answer a couple installation related questions. PhotoShop 7 was just as easy as IE 6, I just double clicked PhotoShop 7 and the install started. After Bordeaux installed some needed libraries a dialog came up and ask me to browse to the install media. I then browsed to my PhotoShop 7 CD and and selected setup.exe and the install proceeded. After the install completed I had short cuts for PhotoShop 7 and Image Ready 7 in my Applications menu under Wine > Programs. To run PhotoShop 7 all I had to do was go to Applications > Wine and click on the shortcut and PhotoShop started up and ran as expected. Microsoft Office 2007 installation goes just like IE 6 and PhotShop 7 just double click the field in Bordeaux and the install starts and runs with any problems. The main difference in the install is when the install reaches about 75% it seems to slow down, I can see that its still working in the background and after about a 10 minute wait the install successfully completed. 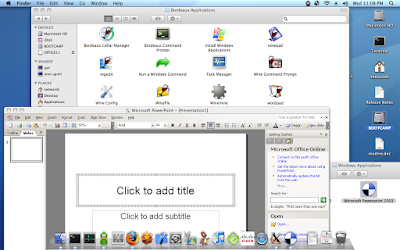 Shortcuts for Office 2007 were also added under Applications > Wine > Programs Word, Excel and PowerPoint 2007 are supported and run at virtually native windows speed on my Ubuntu system. With the limited testing ive done so far the only problem ive ran into is sometimes the equation editor doesn't display fonts as expected, other then that everything has worked as expected. The Sims 3 runs fairly well with WINE. My test rig (E6550, 8800 GTS, 2 GB RAM) performs good on medium-high settings. Since the installation process can be quite hard with Vanilla WINE, a PlayOnLinux script has been created by NSLW, that makes the installation very easy. I thought I just create a short guide on how to install The Sims 3 with PlayOnLinux. First of all, you need the latest PlayOnLinux. 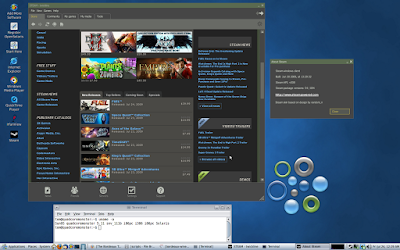 Go to PlayOnLinux downloads and download the latest version. 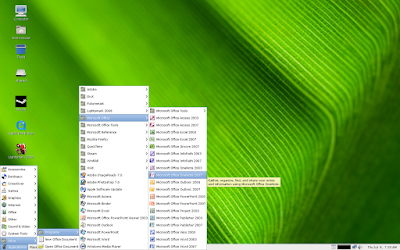 Install PlayOnLinux and start it from the start menu or with the command 'playonlinux'. Select 'Install' -> 'Games' -> 'The Sims 3' and follow the installation script. The script will install some dependencies and the game and you will then be prompted to enter your graphics card Video RAM size. Since the copy protection doesn't work with WINE, you'll have to download a NO-CD patch and replace the original files with the cracked ones. You will find the fake Windows folder in /home/USERNAME/.PlayOnLinux/wineprefix/TheSims3/drive_c/. I will of course not provide you with any information on where to get these files. 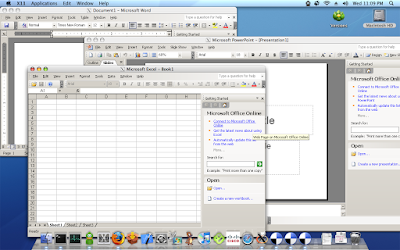 CodeWeavers has released the latest version of its CrossOver software for Mac and Linux users. If you want to try working without Windows but can't live without a must-have Windows app, CrossOver just might be the answer. CodeWeavers CrossOver is a commercial product based on the open-source Wine project. 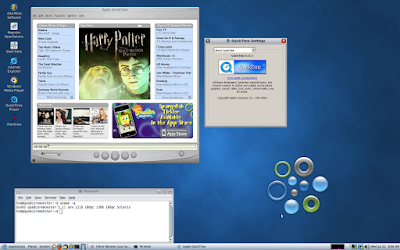 Wine emulates key Windows software libraries, allowing Linux or Mac users to run Windows applications. And unlike virtualization tools like VMware or Parallels, Wine doesn't require users to install a licensed copy of Windows to get started. CrossOver 8.0 adds support for several applications, including Quicken 2009, Internet Explorer 7, and Adobe Photoshop CS2. According to Codeweavers, it also offers improved support for Microsoft Office 2003/2007, Outlook 2000, and Adobe FrameMaker, among others titles. Why pay for CrossOver 8.0 instead of using Wine free of charge? One word: support. The CrossOver Standard and Pro versions (which sell for $39.95 and $69.95) include six and 12 months of paid support, respectively. The Pro version offers some other benefits, including multi-seat deployment tools and physical software media. Bear in mind that CrossOver, like Wine, allows users to install and run -- or try to run -- almost any Windows software. CodeWeavers maintains a substantial database of Windows applications that lists their current level of functionality under CrossOver. The company limits its formal technical support, however, to a shorter list of about 130 Windows apps, including business productivity tools, graphics software, Web design and development apps, and even Windows system software such as DirectX (a required component for users who run Windows games). So, is CrossOver an effective business software tool? The answer is yes -- sometimes. And when it does work, it can save users quite a bit or money. Let me elaborate a bit on that answer. CodeWeavers, and the Wind developer community in general, have tackled an enormous project here. The approach they have chosen to run Windows software is complex and fiendishly difficult. As a result, some software titles -- including those on the CodeWeavers formal support list -- run better than others. 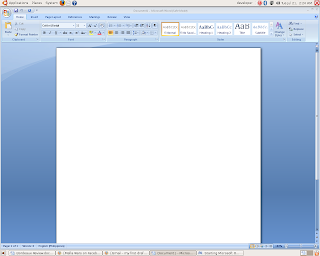 My own experience, for example, suggests that Microsoft Office runs very well on Linux systems. 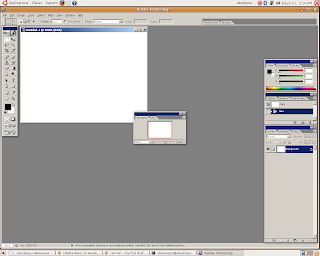 Adobe Photoshop CS2 also runs smoothly for me on Ubuntu Linux, although users running newer versions of Photoshop may be out of luck. Other reviewers tend to see the same inconsistencies. And I can't comment on some key applications, such as Quicken, since I don't own a copy and have never tried it on CrossOver Linux. Besides raising the support bar with each new CrossOver release, CodeWeavers offers another way to work around these issues: A very liberal software trial policy. Anyone can download a fully-functional version of CrossOver 8.0 and use it for 30 days. That's more than enough time to try out the Windows applications you want to run and check for any hidden glitches or performance issues. -- A company wants to move some of its users to Linux or Mac systems, but those users rely heavily on one or two key Windows apps. -- Users either cannot or will not use alternative software that runs natively on a Mac or Linux system. -- Performance and/or licensing issues make virtualization tools an unattractive option. -- A company is prepared to trade off the time required to test CrossOver under real-world conditions in return for the prospect of saving quite a bit more in future Windows licensing fees. Conversely, companies running Windows apps with a reputation for spotty CrossOver support, or those looking to move a substantial number of users relying on multiple Windows apps, are less likely to get satisfactory results. CrossOver obviously isn't a silver bullet for companies that want to give up Windows without giving up key Windows apps. It is, however, one option in a range of solutions that include running virtualization tools, moving to a mixture of Windows and Linux desktop systems, adopting dual-boot setups, and seeking out Linux-based alternatives to existing Windows software. Before we go any further, we'd like to make something perfectly clear. We really like the idea behind CodeWeavers CrossOver Mac Professional, which is the ability to run Windows applications on a Mac without having to install Windows itself. Instead of using a Boot Camp partition or a virtual machine in Fusion or Parallels Desktop, CrossOver utilises the WINE compatibility layer so you can install Windows apps to your Mac's hard drive and run them within OS X as if they were native Mac apps. It's a great idea, in theory at least, but unforutnately it doesn't work particularly well in practice. In fact, we would go as far as saying that CrossOver is one of the most frustrating experiences we've had on a Mac. The main problem with the program is compatibility – or rather the lack thereof. To be fair, CodeWeavers is up-front about this on the CrossOver website, providing compatibility lists (albeit ones lacking a real 'standard', seemingly relying on user submissions for an application's status), but it's nonetheless disheartening when you boot CrossOver for the first time and see the tiny list of supported applications, most of which are out of date (for example, CrossOver supports Internet Explorer 6, but not 7 or 8). POT LUCK: Installation is incredibly straightforward for fully supported apps, but hit-and-miss for everything else. There is some good news, though. For those few applications which are supported, CrossOver isn't half bad. 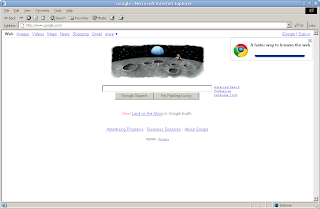 We installed Office 2003, and the process was painless – CrossOver recognised the installer, downloaded some fonts, and once the suite was launched it generally worked fine, even printing to our Mac's printer. There were bugs here and there, such as Word complaining when we tried to download online templates, but for general use we didn't find any major deal-breakers. Additionally, instances of Windows apps behaved in Exposé, and the Mac's file system was accessible from dialog boxes. Also, CrossOver didn't tax our test Mac, co-existing nicely with other open applications. Elsewhere, though, CrossOver is the install equivalent of Russian roulette. During testing, we tried a slew of applications (and a handful of games in CrossOver Games, which is free with CrossOver Mac Professional). Many of these apps refused to install, some toyed with us before locking up halfway, and others seemingly installed fine but then refused to boot, or launched but were largely unusable, such as Paint Shop Pro. Ultimately, CrossOver Mac Professional is a product with stiff competition, and it really only has two weapons: a low price and its 'Mac only' stance. But even the latter of those things is misleading. Although you're never mired in Windows, CrossOver's install process can still be complex, and when things go wrong, you're left flailing. More importantly, the app is often less Mac-friendly than its rivals. For example, you can't redefine modifier shortcuts, nor can you drag-and-drop content between Mac and Windows apps. If you use Wine on Linux, BSD or Solaris and your trying to render your native language fonts you might have noticed just how slow Wine renders far east fonts. This doesn't just happen to far east languages it can also apply to western languages as well. Below is four reasons why this happens and solutions. Wine uses traditional protocol for communication between client and server, and it seems that iptables is disabled in linux/wine. execute command "iptables -I INPUT -s 127.0.0.1 -j ACCEPT"
Locale problem, lots of Linux distributions use utf-8 for Chinese locale, and wine will firstly try to search/request the utf-8 font sets which do not exist in ./wine/drive_c/windows/fonts. Then wine will request other font sets that suits other locale(language environment) one by one (image how many languages their are in the world). GKB font sets, maybe it is a bug while wine is very slow to request GKB font sets. (GKB font sets are used to display simplified Chinese fonts and traditional Chinese fonts, but it is not the national standard in China. Simplified Chinese fonts are used in mainland China, and traditional Chinese fonts are used in Hongkong/Taiwan/...). Action 2: execute command "sed -i "s/^[^#]*GBK/\#Marked for GBK--- &/g "/usr/share/X11/locale/zh_CN.UTF-8/XLC_LOCALE >/dev/null" to let wine not continue to use/request GBK fonts. Then execute the command "regedit ~/.wine/fonts.reg", so wine can be very well displayed as in Windows Chinese environment and much faster than before. As of Wine 1.1.12 support for subpixel font rendering was added into Wine, there are some registry changes you need to make for sub pixel font rendering to work. Font rendering performance at least on nvidia and ati video cards is 50 times faster if you enable font smoothing. (set it to rgb or bgr, gray is not that much faster). The easiest way to enable font smoothing in Wine is to download WineTricks and apply the settings with it. Office OneNote 2007 is a digital notebook that provides one place to gather notes and information, powerful search capabilities to find what you're looking for quickly, and easy-to-use shared notebooks to help manage information overload and work with others more effectively. As an integrated part of the 2007 Microsoft Office system, OneNote 2007 makes it easy to gather, organize, find, and share your notes and information more efficiently and effectively. Powerful search capabilities can help you locate information from text within pictures, or from spoken words in audio and video recordings. And easy-to-use collaborative tools help teams work together with all of this information in shared notebooks, whether online or offline. Plus, the familiar look and feel of the Microsoft Office system makes it easy to start using the program right away, minimizing wasted time and training costs. With so much information coming your way--and in so many different forms--you need one place to keep it all and a tool that's flexible enough to capture it. Otherwise, information that could have been used to help make better decisions or make you more efficient is lost or difficult to find. Unlike paper-based systems, word processing programs, e-mail systems, or other productivity programs, OneNote 2007 delivers the flexibility to gather and organize text, pictures, digital handwriting, audio and video recordings, and more--all in one digital notebook on your computer. This software can help you become more productive by keeping the information you need at your fingertips and reducing time spent searching for information across e-mail messages, paper notebooks, file folders, and printouts. Taking notes on paper and transcribing them later can be time-consuming and difficult, and you run the risk of losing important pages. In addition, it's difficult to share data kept in a conventional paper notebook, and they're only good for capturing one kind of information: handwritten notes. When it's time to gather information from other sources and in different ways, other difficulties can arise. For instance, because most people don't have a way of digitally capturing unstructured information, they often print out Web research, and store information in file folders or on desks, which is difficult to find later and inaccessible when you're away. And sharing information with others can be challenging--even when using e-mail, it can be hard to hard to figure out what the plan is without reading through long e-mail threads that may or may not contain the information you need. OneNote 2007, however, gives you a solution with a flexible software program that enables you to gather virtually any type of information in one place. With your information readily available, you can be more prepared and informed. With OneNote 2007, finding information is easy and fast because it eliminates the guesswork of figuring out where you stored critical information. No more clicking through file folders and sorting through pages of paper notebooks to find the information you're looking for. Powerful search features give you the ability to locate information quickly, while allowing you to search across new types of content, like text in scanned documents or images, and spoken words in audio and video recordings. With easier access to the facts, you and your teammates can make better decisions. OneNote 2007 helps you consolidate various types of information--including freeform notes, images, documents, files from other Microsoft Office system programs, and rich media--and organize it in the way that works best for you. And because it keeps everything in one place, you don't have to worry about frequently saving or creating backups of your information--OneNote 2007 does this for you. If you're attending an important meeting and don't want to rely on your memory, simply take meeting notes in OneNote 2007 to create a living repository of group decisions and brainstorming sessions that adds continuity and context to subsequent meetings. You can also catch all the details of customer calls and meetings by synchronizing typed or handwritten notes with Office OneNote 2007 audio and video recordings. If you're working outside of the office, gather information on your Microsoft Windows Mobile powered devices (including notes, audio recordings, and pictures) and transfer it to OneNote 2007. And when it's time to share data with your colleagues, take advantage of OneNote 2007's export application programming interface to easily transfer information gathered in OneNote 2007 to your company's business systems, and in so doing reduce errors and wasted time spent rekeying the same information in different systems. Need to copy, paste, or print information from and into other 2007 Microsoft Office system programs? It's no problem with OneNote; this software lets you access and exchange information in Word, Excel, Outlook, and PowerPoint. You can even use OneNote 2007's drawing tools and tables to annotate and easily organize and manage information. OneNote 2007 lets you search and find keywords quickly within text, in images, and in audio recordings made within the application. You can also view hyperlinked search results in a summary task pane; a single click takes you to relevant results. For added convenience, view all open notebooks at once, use drag-and-drop functionality to easily arrange and rearrange your notes, and add hyperlinks to other pages in your notebook to quickly find relevant content. Manage tasks easily with two-way synchronization between OneNote 2007 and the 2003 and 2007 versions of Outlook, or link notes and other information to specific Outlook 2007 or Outlook 2003 contacts to help you better prepare for meetings and recall information easily. If you want to underscore a particularly important point, date, or other piece of information, mark notes with note tags, visually rich icons that make it easier to return to reminders, to-dos, and other action items. With team members working from different locations and on multiple projects, communication, coordination, and information sharing can challenge group effectiveness and productivity. Teams often rely on e-mail messages to share information, causing confusion and bloated e-mail inboxes. Tasks, action items, agendas, and issues stored within static documents or document management systems are difficult to update, track, and access, and they prevent multiple people from working with the same information at the same time. OneNote 2007 helps people work together better by eliminating roadblocks that arise when information is isolated in paper notes or file folders, or on one person's computer. Groups can share information easily, work more productively, and keep track of projects, issues, and goals more effectively. Individuals can work together from the same notebook--whether online or offline--using shared notebooks. OneNote2007 manages changes made to the same notebook, eliminating the need to track versions or upload changes. You can also create a team knowledge base so that everyone has access to the same information, helping to get new team members up to speed quickly, and minimizing duplicate efforts. Share notes even with non-OneNote 2007 users by sending your notes as HTML so that anyone with an e-mail client or Web browser can view them, and stay in control of your information by choosing which notebooks to share with your teammates and which to keep private, and help ensure privacy with password protection. You can even use OneNote 2007 as a shared digital whiteboard, enabling virtual teams to work together in real time, viewing and editing the same set of notes. The Bordeaux Technology Group is a software services and development company specializing in Windows compatibility software. Users of Linux systems from time to time find themselves in the need to run specialized Windows software. The Bordeaux suite enables access to these programs and data in a seamless and low cost manner without requiring licensing of Microsoft Technology. The Bordeaux Group also provides migration services and support for alternative operating systems specializing in Windows compatibility. There is a multitude of software developed only for the Windows operating system and even when software vendors port thier applications to another platform, generally it lacks features that the Windows version contains. The only solution these developers face is to have access to both systems for testing which leads to increased infrastructure demands, and wasted project resources. If you are vendor interested in supporting your application on Linux or a software user that needs to run a Windows application on Linux or BSD, we can help. Start Bordeaux and select Office 2007 and when asked for the install location select your Office 2007 CD if its bundled or the appropriate location of the install media and OneNote should install and create a menu selection for you. 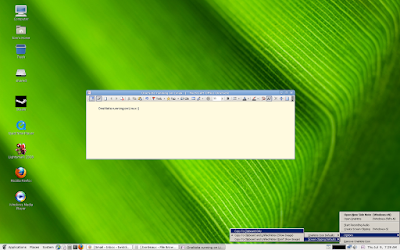 OneNote 2007 can be run from the command line or via the newly created Applications menu. While OneNote 2007 isn't officially supported in Bordeaux 1.8.0 at this time, with my limited usage of the program it runs remarkably well everything has worked as expected and the program hasn't ever crashed or hard locked. Anyone who purchases Bordeuax can report any and all problems through the issue tracker and we will track them and help with any known problems and provide fixes or work arounds if necessary.